They have been making knives and cutlery in Thiers for 600 years, and they have no intention of stopping any time soon. 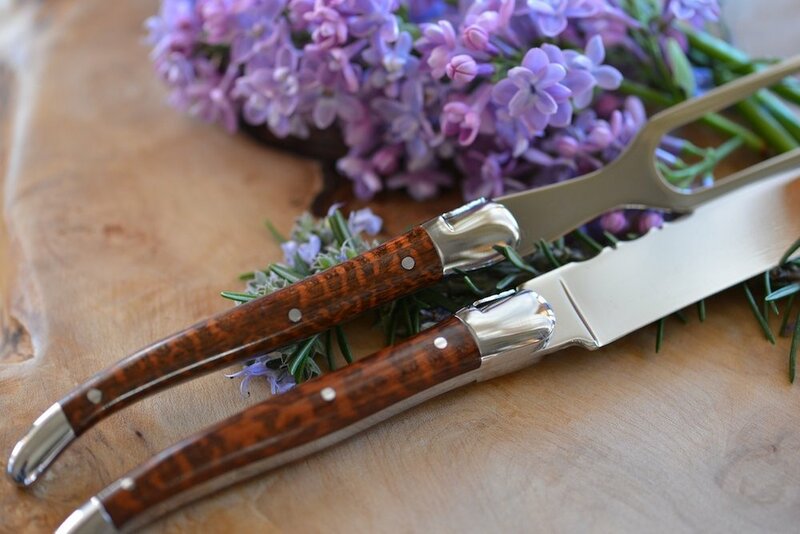 Production is by small family artisans, where knife making has been in the family for generations. There is nothing mass product about the place, and most of their orders are custom made. And if you wish, and your budget permits, you can have your handles made from 25,000 year old fossilised mammoth tusks. Well, they have to be used for something! We purchase from Fontenille Pataud and Claude Dozorme.